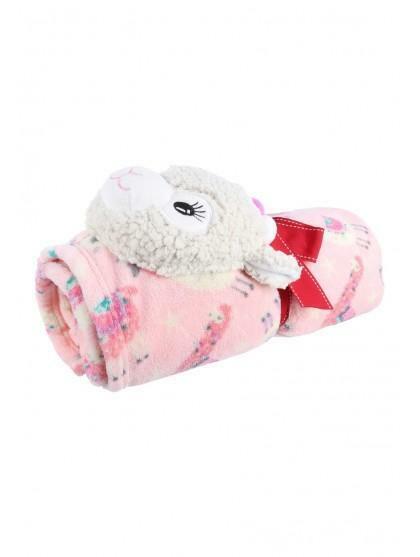 Llama fans will love this fun blanket. In a pink print with a llama face and presented in a bow, it'll make a great gift this festive season. Bought as a gift. Lovely cute blanket although, not sure the toy looks much like a llama.